and send out every pretty piece. We're serious about letting you experience the quality! Includes samples across our wedding line, plus color and premium paper swatches. Shipping is included! 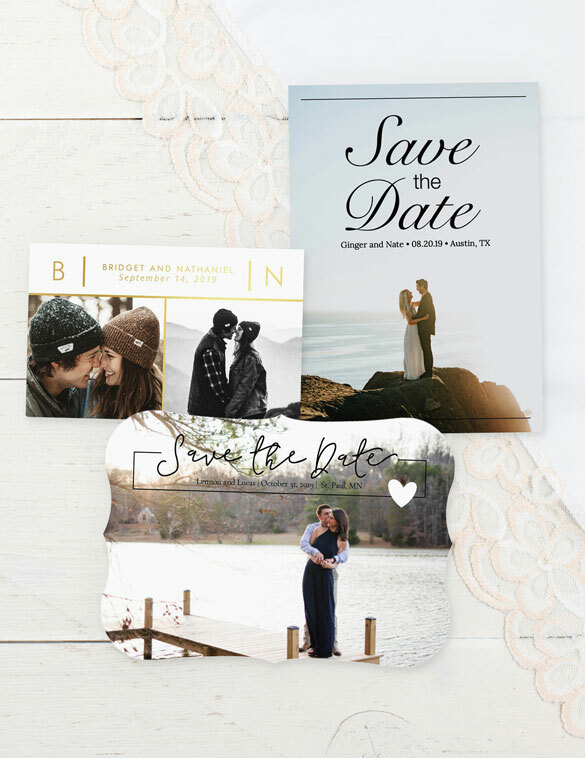 Before placing your Save the Date order, remember to confirm all wedding details included on your design (e.g., venue, location, wedding website). Don’t Forget Your Vendors And Wedding Party! In addition to wedding guests, remember to send a Save the Date to each member of your wedding party as well. Also, it is polite (and practical) to send a Save the Date to your wedding vendors (e.g., photographer, videographer, officiant, pianist). Fret not! Read our seven savvy secrets to saving big on your Save the Dates. 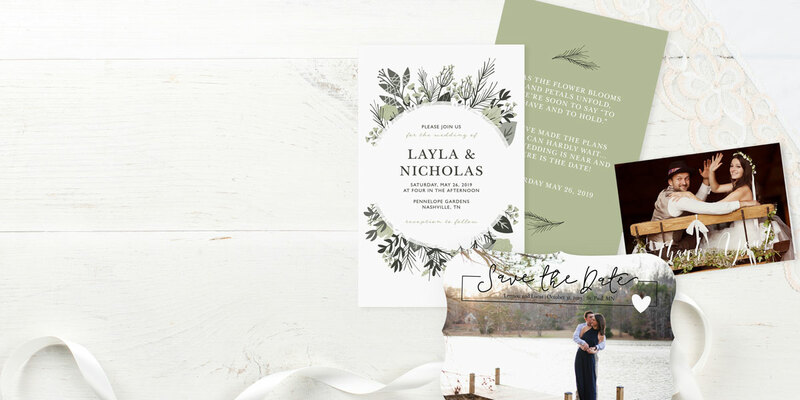 Since your wedding invitations will set the style and tone for your wedding, we recommend starting your invitations at least 6 months in advance. Allow yourself plenty of time to discover, decide, and design your entire ensemble. 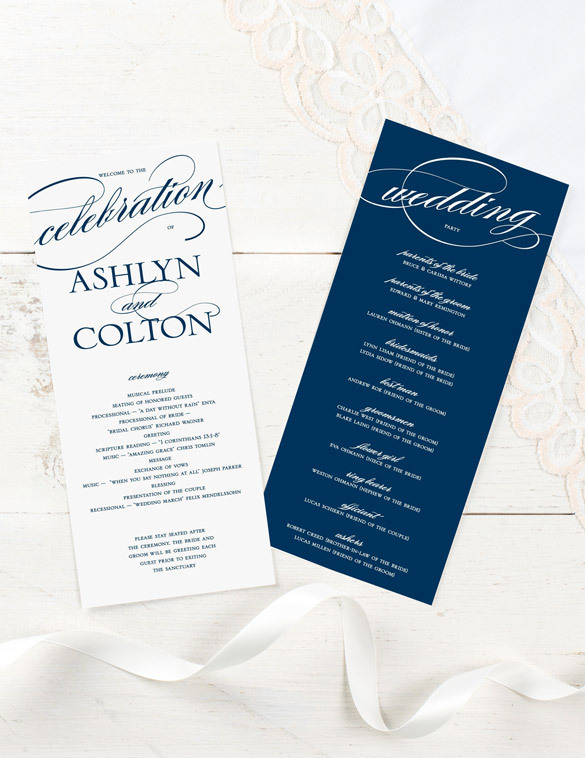 Tip: Request free samples of your favorite invitations, personalized in your wedding colors! It’s a good idea to order an extra 25 invitations to account for last-minute invites, personal keepsakes, and any mistakes during addressing/assembly. 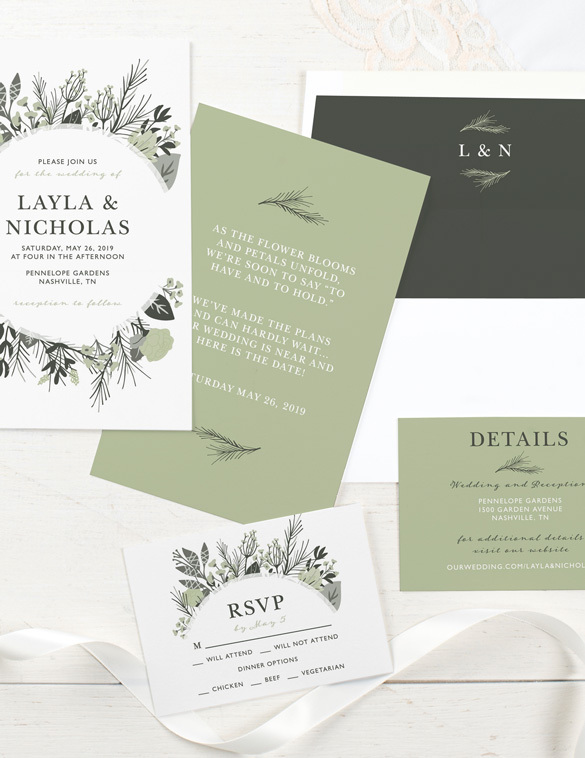 We recommend ordering your invitations 4–​6 months in advance, so that you have ample time to assemble and address them before mailing them out (6–​8 weeks in advance). For help, see our guide on addressing wedding invitations. Insufficient postage, spelling errors, etiquette blunders ...save unwanted stress by learning these top ten wedding stationery mistakes to avoid. Ordering them at the same time will ensure that you carry over the same colors, fonts, and style—​as well as give you plenty of time for at-home assembly. It’s a good idea to order an extra 25 favors, in case of any mistakes, late RSVPs, or last‑minute invites. How Many Table Numbers Should You Order? Each table at your reception should receive a unique Table Number. The quantity of Table Numbers you order will depend on two variables: the size of your guest list and the seating capacity of each table. Note: Table Numbers come in multiples of either 8 or 10 (varies by type). When ordering, round up to the nearest multiple. For example, if you need 13 Table Numbers (like in the example above), then round up to the nearest multiple of 8 or 10, which is 16 or 20. After you decide on a design, start personalizing the ceremony details you already know, such as wedding colors, wedding party members, etc. As you finalize the rest of your ceremony details, simply add and save them to your design. You’ll save yourself from the last-minute stress of creating the entire program in one sitting! We recommend ordering Programs at least 1–​2 months in advance—​even if your guest count hasn’t been finalized. With so many details to button down before the big day, it’s better to order too many than to order too late! So how many should you order? If your guest count hasn’t been finalized yet, then add up the total number of confirmed RSVPs with the number of outstanding RSVPs. Note: It’s a good idea to order an extra 25 programs to account for any last-minute RSVPs and for personal keepsakes. Looking For Program Wording Ideas? From contemporary to casual, check out our wedding program wording ideas and templates. 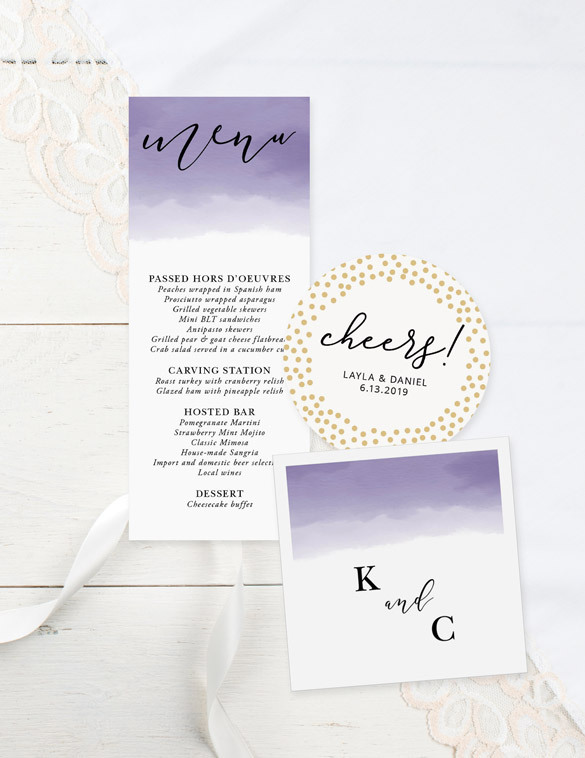 Get a head start on your Thank You design by personalizing the rest of your design first while waiting to receive your digital files from your photographer. We recommend sending a Thank You note as soon as possible after receiving a gift—​typically within 2 weeks of receiving the gift for pre- and post-wedding gifts, and up to 3 months after the wedding for wedding day gifts. You will most likely receive gifts before and even up to a year after the wedding. Guests will understand when you’re on your honeymoon or getting settled in as newlyweds, but a timely Thank You note is always appreciated. 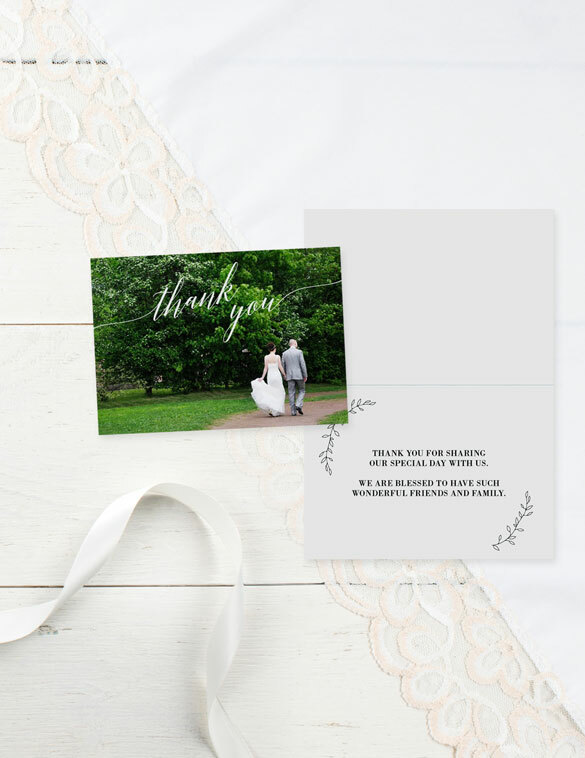 While it is usually expected that whoever gives you a gift receives a Thank You, you may also want to consider sending a special note of thanks to those that offered their time, expertise, or gave exceptional service, e.g., your parents, maid of honor, officiate, vendors. As you write your Thank You notes, keep this handy list of thank you etiquette in mind. Download our wedding planning checklist to stay organized as you march toward the aisle.